Mexico has implemented many relevant cyberlaws, including privacy legislation, rules on data breach notification, and up-to-date cybercrime legislation. Improvement is required in intellectual property protection and enforcement in Mexico. Significant gaps in legal coverage and enforcement remain. Intellectual property safe harbor has not been implemented for cloud service providers in Mexico and the bar for prosecution of intellectual property crimes is high. 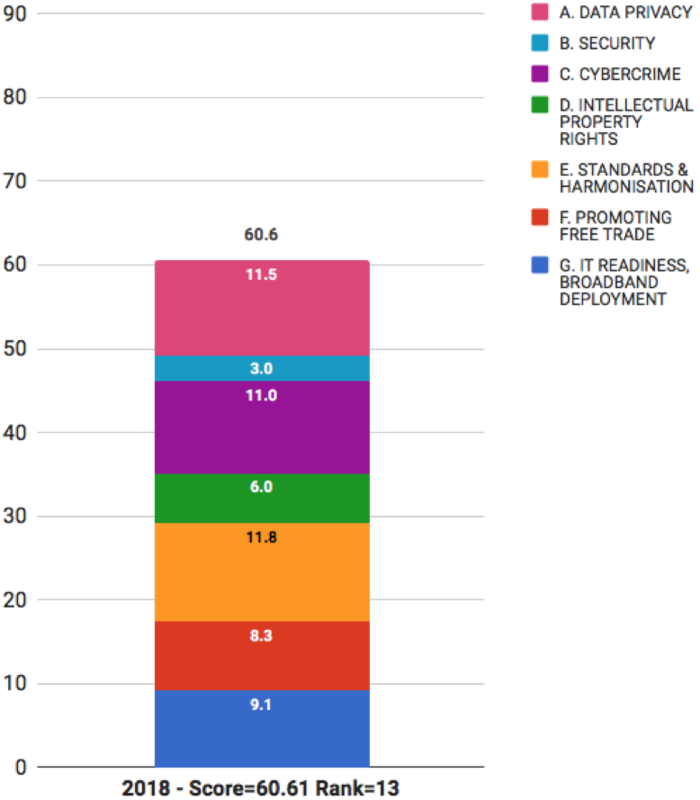 Mexico also scores poorly in the section on promoting free trade. There is no specific national broadband plan in Mexico and no speed or connectivity targets have been published. The country continues to face challenges in delivering a modern information technology (IT) infrastructure that can facilitate cloud computing. Overall, Mexico’s Scorecard ranking improved slightly, from 15th place in 2016 to 13th in 2018. - 21st for IT readiness and broadband deployment.